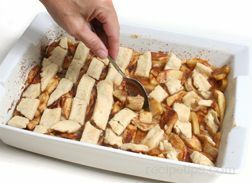 Use your favorite baking apples for this easy to make apple crumble recipe. 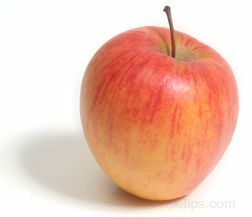 An apple crumble is very similar to an apple crisp except that the topping for an apple crisp generally contains oats and often nuts, giving it a coarser texture than the apple crumble topping. 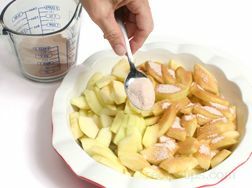 Apple crisp and apple crumble are great apple dessert recipes but you can also make Apple Cobbler, Apple Pandowdy, or Apple Brown Betty with all of the great varieties of apples that are available during apple season. 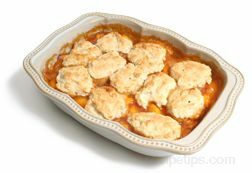 Apple crisp is a great traditional apple recipe but try a cobbler, pandowdy, or Brown Betty for a nice change. 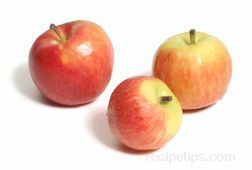 With our Apple Preparation guide, we can show you how to prepare your apples for these great desserts. 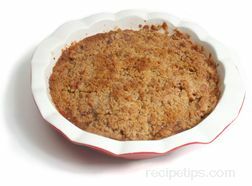 A crumble is a dessert with a crumb topping made from flour, sugar, and butter combined into a mixture that is sprinkled over sliced fruit and baked. 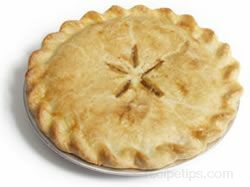 The topping is made up of basically the same ingredients as a pastry except it doesn't contain any liquid. 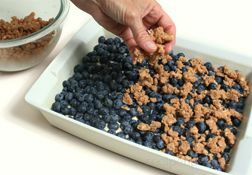 When the crumble bakes the butter melts and mixes with the flour and sugar to create a crunchy, crumbly topping. A crumble is very similar to a crisp except that the topping for a crisp generally contains oats and often nuts, giving it a coarser texture than the crumble topping. 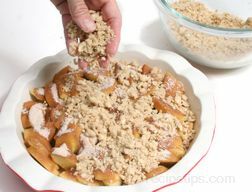 The traditional crumble topping contains flour, sugar, and butter but there are many variations, which some include ingredients such as oats, nuts, and spices. As more of these ingredients are added, the crumble becomes even more similar to a crisp. 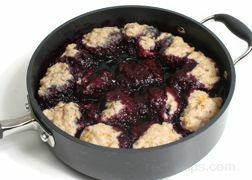 A crumble also resembles a cobbler, which has a fruit filling with a top crust and no bottom crust. The difference being that top crust of the cobbler contains a leavening agent such as baking powder with gives it more of a smooth bread type texture rather than crumbly. 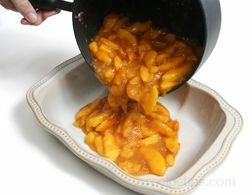 One of the most common crumble desserts is "apple crumble", but it is also common to use blueberries, strawberries, peaches, rhubarb, and plums. Preheat the oven to 375°F. Peel and core the apples. 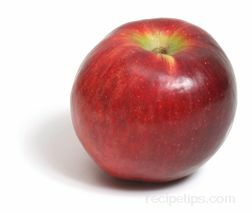 Cut the apples into thick slices and place in a 9 x 9 inch square or 9 inch round ungreased baking dish. 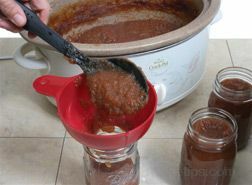 Combine the sugar, cinnamon, and nutmeg together in another bowl and mix until well blended. 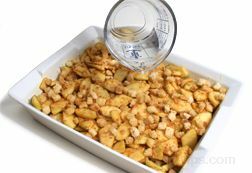 Sprinkle the sugar mixture over the apple slices in the baking dish. 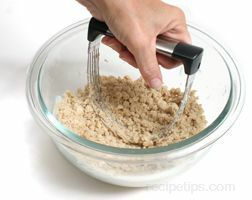 Combine the flour, brown sugar, and butter together in another bowl until the mixture has a crumbly texture. 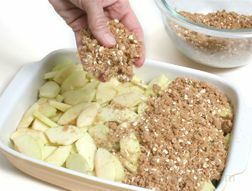 Sprinkle the crumble topping evenly over the apples and then place the crumble in the preheated oven. 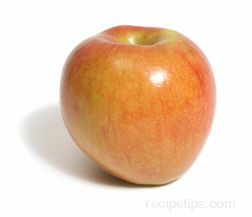 Bake for 30 to 40 minutes or until apples are tender when poked and the topping is golden brown and crispy. Remove from the oven and serve while warm. Serve with a scoop of ice cream or some whipped cream. "I like this better than my old standby and will make it for Thanksgiving"